Marvel comic fans rejoice as Logitech now brings to you the 2018 Logitech M238 Marvel Collection of wireless mice. 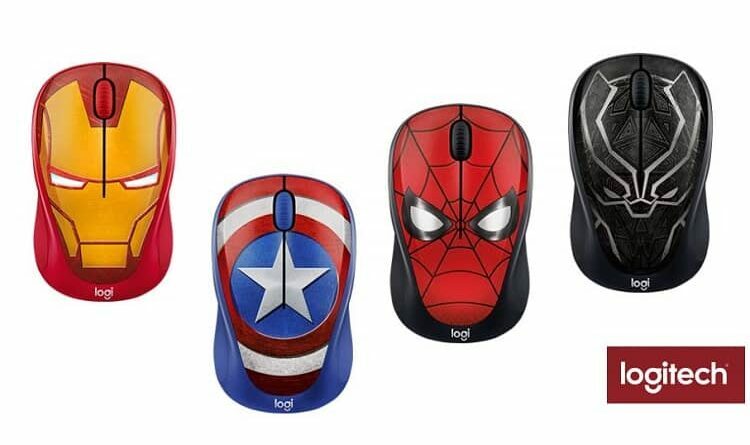 These designs are exclusive to Logitech and you can choose from four of your favourite Marvel super heroes; Captain America, Iron Man, Black Panther or Spider-Man. The new M238 series mice are compatible with Microsoft Windows, Mac, Chrome OS and Linux. Each are connected to your device via Logitech’s nano USB receiver which has a range of up to 33 feet. They also feature a scroll wheel, and best of all, a 12-month battery life with a single, pre-installed battery. The Logitech M238 MARVEL Collection is available now in Malaysia at all Logitech Authorised Resellers, retailing at RM89.